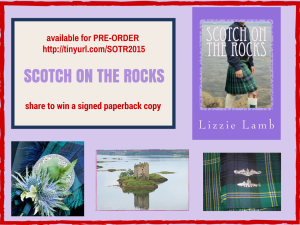 SCOTCH ON THE ROCKS – available for pre-order. Yay. 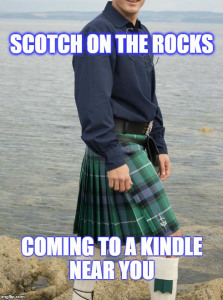 The day I’ve been dreaming of this since I started writing Scotch on the Rocks just over a year ago. Not quite publication day, but close. I’ve loved writing this book and I owe a big debt to my writer and non-writer friends who have read it, commented and made suggestions along the way. Writing this novel has involved at least two research trips to Scotland (it’s a dirty job – what can I say?!) and hours spent pouring over catalogues of men in kilts. I have to thank Dr Nick Fiddes of http://www.scotweb.co.uk who so generously allowed me to use one of the images from his website. Sorry I had to decapitate the poor laddie.